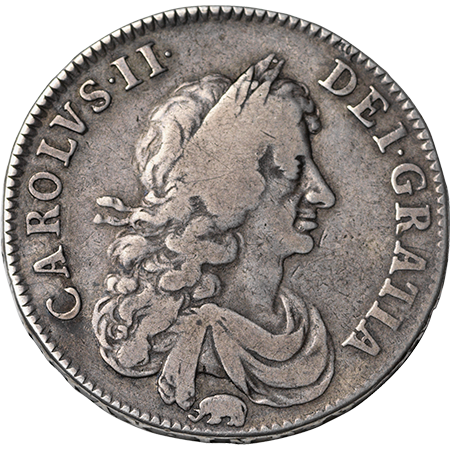 Charles 11 Halfcrown 1666, Elephant below bust, ESC 461, Bull 447, S.3364. Ex Law coll'. 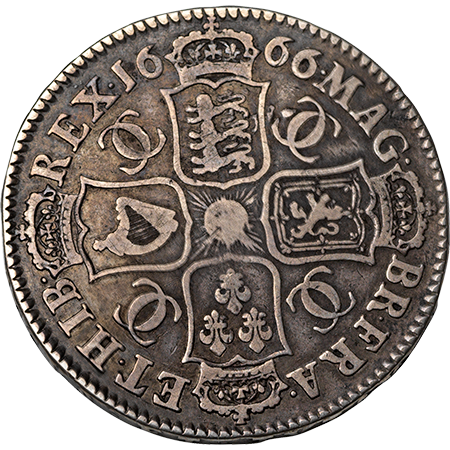 Extremely Rare, toned & a really Good Fine.